ARIES – Cultivate a harmonious nature to kill your hatred because it is more powerful than love and deadly affects your body. Remember evil triumphs sooner than good. Do not overspend on household luxuries. Stubborn attitude especially in friend circle should be avoided. It could cost you dearly as the relationship could come under severe threats. Relations with your darling night get strained even over very small issues. Co-workers and subordinates will bring moments of worry and stress. Today is one of those days when things will not move the way you want. You might feel troubled due to your spouse today. 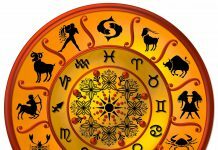 TAURUS – Hectic work schedule may make you short-tempered. Bank dealing need to be handled very carefully. You will have great time with friends but take extra care while driving. Mental turmoil and turbulence as work pressure builds up. Relax towards the later half of the day. If you paid excess of time to social media today at work, you might get caught. Your sharp observation will help you stay ahead of others. You might feel annoyed by your spouse due to off mood. GEMINI – Your kind nature will bring many happy moments today. Speculation will be hazardous- therefore all investments should be made with extreme care. Land dispute would lead to fight. Take the help of your parents to sort out the matter. Act according to their guidance and you would definitely be able to solve the problem. No hope for romance today You will feel that your creativity has been lost and you find it extremely difficult to make decisions. Outstation travel will not be comfortable-but will help build important contacts. Your spouse might make an issue of something he/she heard in the neighborhood. CANCER – Your giving attitude would be a blessing in disguise as you are likely to be liberated from many vices like doubt discouragement lack of faith greed attachment egoism and jealousy. New contracts might look lucrative but will not bring gains as desired- Do not make hasty decisions when it comes to investing money. Today you will feel lonely and alone-and the feeling of isolation may prevent you from taking sensible decisions. You forever love is a river for your beloved. You will make great strides in your career if you move around with influential people. Not a very good day for traveling. Women are from Venus and Men are from Mars, but it’s the day when Venus and Mars will melt into each other. LEO – As food owes its flavor to salt-some unhappiness is essential only than you realize the value of happiness. All investments need to be made carefully and with proper consultation to avoid unnecessary losses Family function would make new friends. But be careful in your selection. Good friends are like a treasure you always want to preserve. Romance rules your heart and mind. Your partners will be supportive and helpful. Secret enemies will be eager to spread rumors about you. A good dinner with a good night sleep is expected for your married life today. VIRGO – Be an optimistic and look at the brighter side. Your confident expectations open the door for realization of your hopes and desires. Use what you already have before rushing out to buy more. Friends might try to mislead you. Love life brings hope Keep your emotions under control when negotiating major business deal. Tension filled day when several differences might crop up with close associates. Your life-partner will give you extra special time today. LIBRA – Feeling of insecurity/disorientation could cause dizziness. You are likely to earn through most unexpected sources. You need to be patient with children or those who are less experienced than you are. Befriend after proper knowledge and understanding. You might have a really challenging day at work. Don’t make hasty decisions that you will regret later in your life. You might feel like to bang your head today after a heated argument with your spouse. It would be great if you can do some meditation. SCORPIO – Emotionally you will not be very stable- therefore be cautious how you behave and say things in front of others. You will obtain benefits from commissions- dividends- or royalties. Mother’s ailment could cause some worry. You need to divert her attention from illness to some other things and to minimize her illness. Your advice would act like a panacea. Spell of love is all set to bind you this day. Just feel the bliss. A day of when you should meet important and eminent people to put a light on your new plans. Tours and travel would bring pleasure and would be highly educating. Life is going to be really wonderful today because your spouse has planned something special. SAGITTARIUS – You will be loaded with energy and will do something extraordinary today. Sudden unexpected expenses might exert financial pressure. Shirking household duties and squabbling over money may damage your marital bliss today. Don’t clamor loud about love affair. New partnership would be promising today. Be careful not to make harsh comments in case you are pushed into an argument. Too much expectations today might lead you toward sadness in married life. CAPRICORN –A day when rest will be important- As you have been facing lot of mental pressure recently- Recreation and entertainment will help you relax. You could find yourself in an exciting new situation-which will also bring you financial gains. Think before sharing your confidential information with your spouse. If possible, try to avoid as she might reveal it to someone else. Chances to form a new love connection will be strong but don’t reveal information that is personal and confidential. Daydreaming will bring your downfall- Do not count on others to do your work. Secret enemies will be eager to spread rumors about you. You are going to have a soulful chit-chat with your spouse today. 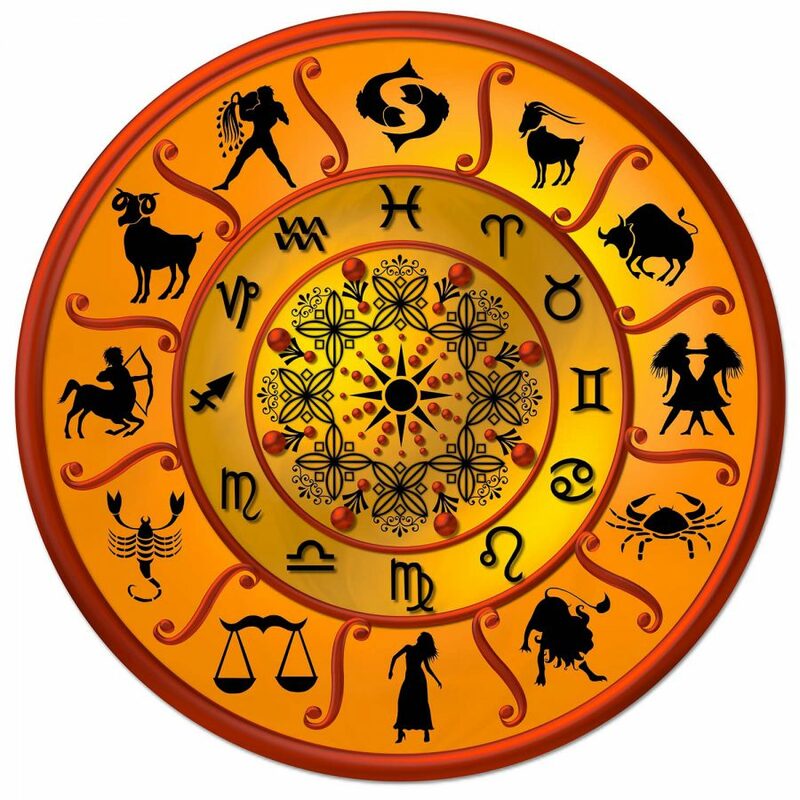 AQUARIUS – Stress may result in minor illness. There will be a rise in your expenses that will bother your mind. Do not neglect your social life. Take some time from your busy schedule and go out to attend the party with your family. It will not only relieve your pressure but also remove your hesitation. You are likely to be dazzled by some natural beauty today. Co-workers and subordinates will bring moments of worry and stress. This will be an upsetting day if you jump to conclusions and take unnecessary actions. Today, you will forget all the hardships of your life with the love of your spouse. PISCES – Blessings of a saintly person will give peace of mind. Someone with big plans and ideas will catch your attention- Verify the credibility and authenticity of the person before making any investments. Family front doesn’t seem to be happy and smooth. You may find hard to express your feelings. Today you will have the stamina and the know-how to raise your earning power. Travel will be beneficial but expensive. You will spend an awesome time with your spouse. Each moment will bring you closer.